Today, we are accustomed to thinking that many ingenious mechanical devices of the past were born from a flash of genius. The truth, however, is somewhat different. A magician can amaze his audience by pulling a white rabbit out of a top hat – but, of course, we all realize that it was not a magic power that put the rabbit inside the hat. A bright idea alone is not sufficient to get a trick to work – much trial and error is needed; there is no magic in it. Aircraft manufacture follows the same rule. Reinhold Platz was, without doubt, a talented designer but he based his ideas on the vast knowledge previously gained by his ‘boss’, Anthony Fokker. Monoplane structures were employed at the very beginning of aviation history. It was a monoplane that Louis Bleriot flew when he crossed the English Channel; Pegoud amazed onlookers with his aerobatic stunts performed in a monoplane Morane H; Nesterov pulled the first ever loop in a monoplane Nieuport IV; the first aircraft built by Fokker was a monoplane – the ‘Spin’ (in English, ‘Spider’, so named because of the support wires criss-crossing the aircraft) which was given the military designation Fokker M1. The aerodynamics of a monoplane produce less drag and therefore, in general, when coupled to a similar engine it will deliver a better performance than a bi- or triplane. At the same time, being structurally less complex, a monoplane is simpler to produce. Another important consideration was the relatively short time needed to complete a monoplane: shorter than in the case of a biplane. Platz appreciated the advantages of monoplane construction and, indeed, it proved to be the way of the future. Of note is the fact that Platz was not the only aircraft designer to explore the potential of the monoplane. The same idea reappeared in France and Great Britain in the form of several fighter aircraft: the British Bristol M1C (Bullet) and the Sopwith Monoplane (Scooter), as well as the French Morane Saulnier MS 27/29C1. In December 1917 Reinhold Platz designed and completed his first monoplane. 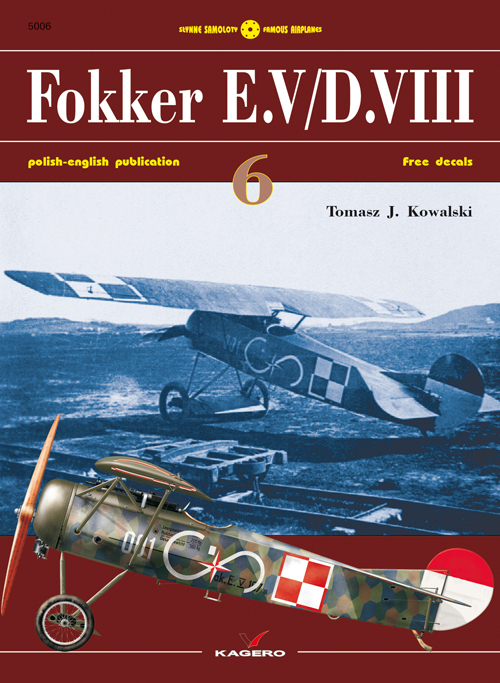 It was designated the Fokker V 17 (V for Versuchsmuster5). The new aircraft incorporated proven elements of the earlier Fokker Dr. I, such as the fuselage, control surfaces and undercarriage. Its main novelty was the wooden, fabric-covered, single-spar wing. Platz’s choice of mid-wing monoplane construction was led by a desire to minimize drag. The cantilever wing did not need any additional stiffeners or struts as it was fitted under the upper longerons. The fuselage was slotted to allow the one-piece wing to slide into place. The machine was powered by an Oberursel U II rotary engine, rated at 81 kW (110 hp). The completed aircraft was demonstrated in flight during the first, January contest. It turned out to be the fastest contestant. 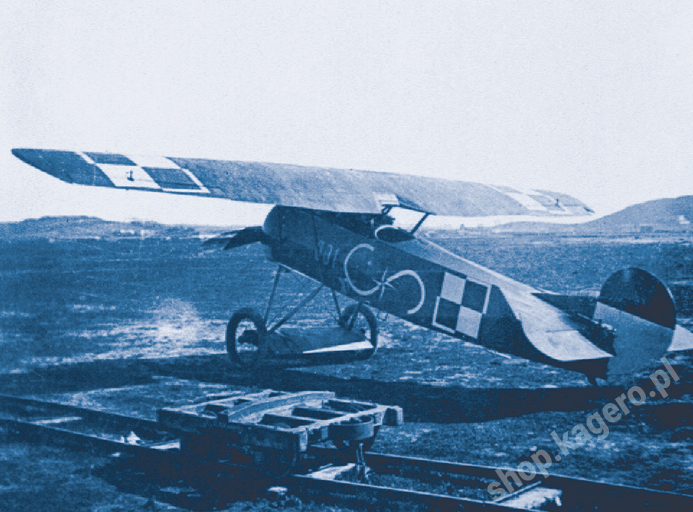 Another Fokker monoplane test-flown before the first contest was the Fokker V.20, also a mid-wing design. It used the fuselage, control surfaces and undercarriage of the Fokker V 186 (one of the Fokker D.VIII prototypes) in its construction. It was powered by a Mercedes D III liquid-cooled, inline engine rated at 118 kW (160 hp) and equipped with a car-type frontal radiator. It took only five and a half days to assemble the aircraft7 . In the opinion of the test pilots, however, it was handicapped by poor downward vision. The Fokker V.23 was the third mid-wing monoplane fighter design prepared specially for the second contest. It was powered by a Mercedes D III inline engine. The aircraft was fitted with a new wooden, plywood-covered, twin-spar cantilever wing. The wings were of trapezoidal shape with rounded wingtips. The fuselage aft of the cockpit was ridged to form a streamlined fairing. With a total weight of 848 kg, the aircraft was able to climb to 1000 metres in three minutes, and to 5000 metres in 29.8 minutes. Its climb rate was far superior to that of the Fokker D. VII fitted with the same powerplant. Pilots who flew the Fokker V.23 claimed that its major drawback was the poor downward view (blocked by the wing). On the other hand, they praised it for its high climb rate and manoeuvrability, though they also made reference to a lack of longitudinal stability. The Fokker V.25 was the fourth fighter aircraft prototype tested, constructed as a low-wing monoplane (as specified by Anthony Fokker himself, after his flights in a Junkers D.I). Such a wing position ensured better downward visibility. Many elements from previous Fokker prototypes were recycled: the wing of the Fokker V.23 was mated to the fuselage, undercarriage and horizontal control surfaces of the Fokker V.17; new elements incorporated were the triangular tailfin and a new rudder. The new design featured a high, streamlined fairing aft of the cockpit, previously seen on the Fokker V.23. The aircraft was powered by an Oberursel U II rotary engine. It participated in the second contest for the ‘D-type’ aircraft8 contract. With a total weight of 564 kg it reached an altitude of 1000 metres in 1.7 minutes, 5000 m in 28.7 min. It had a good diving speed and was as manoeuvrable as a Fokker D.VII, although the pilots who test-flew it complained about poor downward visibility – the common problem of all the mid-wing monoplanes built thus far. Visibility upwards was unsurpassed.